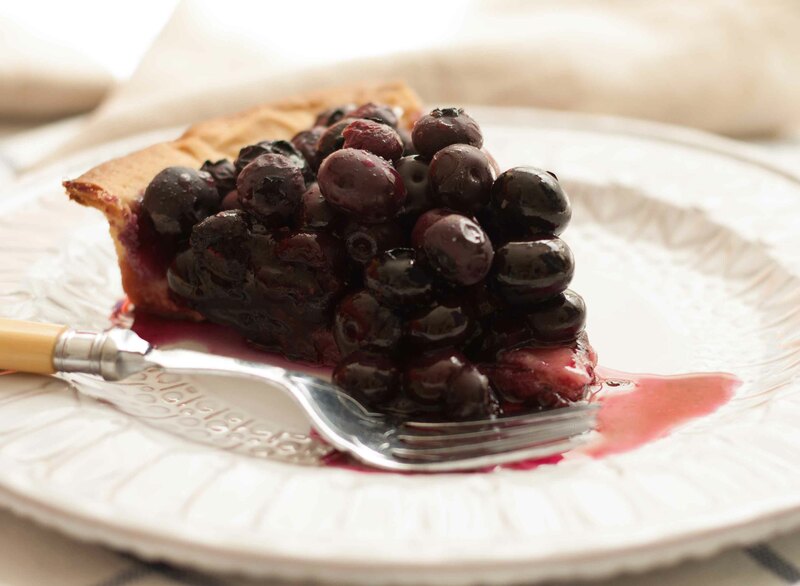 A warm, slightly sweetened blueberry is a thing of beauty. Pairing it with crisp, buttery pastry and tangy yoghurt takes it over the top and makes me feel a bit giddy. Given the size of this thing it saw us through a few days, and let me tell you, I looked forward to dessert all day long. 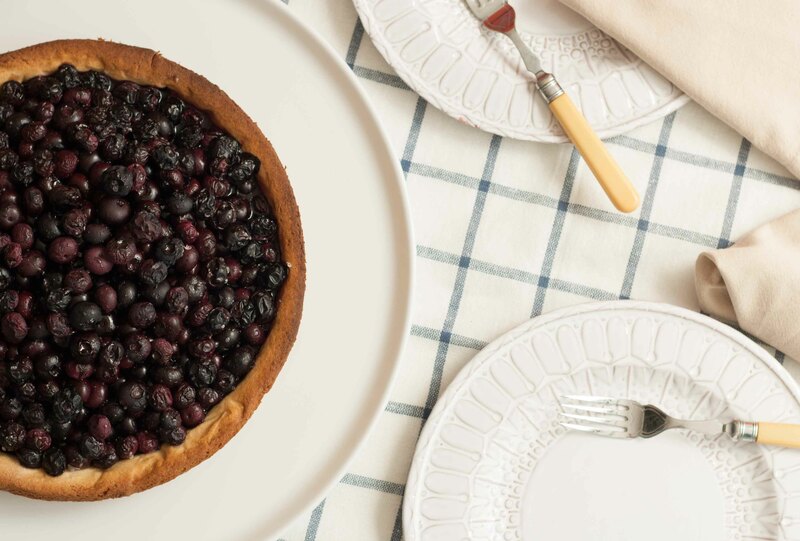 The main problem I had with this recipe was that I failed to notice that Trine had used a significantly larger tin for her tart than I did, which resulted in me trying to cram a slightly ridiculous amount of blueberries into my much smaller tin. 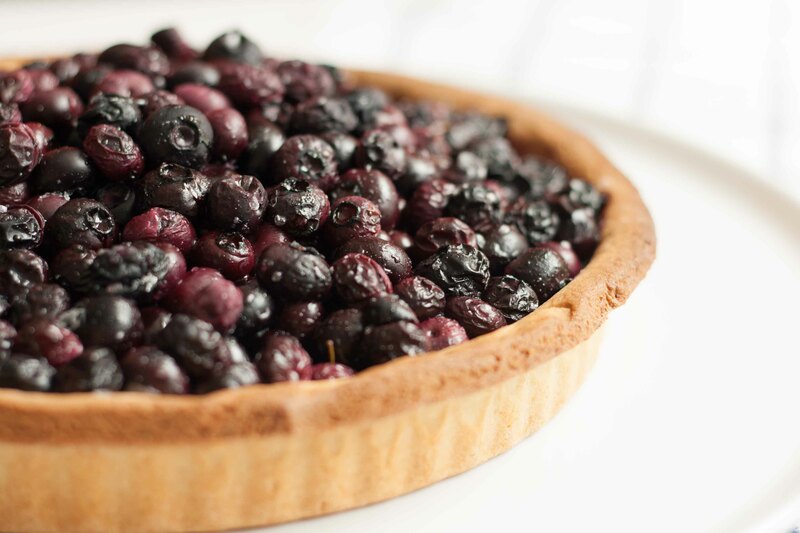 Safe to say, a few escaped onto the floor, quite a few more were baked in a separate casserole dish and I was still left with a comically overfilled tart, which prevented the blueberries from popping and squishing down in quite the way they were supposed to. I’ve adjusted the quantities below so your tart should be slightly less massive and hopefully a little less juicy! But don’t worry, even if your tart ends up like mine the taste is going to blow you away! Start by making the pastry, in a food processor pulse together the flour, icing sugar, butter and salt until they resemble breadcrumbs. (Alternatively you can do this by rubbing the ingredients together with your fingertips in a large mixing bowl) Next add in the egg and egg yolk and blitz again briefly until the mix comes together (I actually ended up adding a little of the other egg white, as my dough was a tad dry). Wrap the dough in clingfilm and pop it in the fridge for an hour. Preheat the oven to 180C /160C fan oven / 350F. Scrunch up a large piece of baking or greaseproof paper, unwrap it and use it to line your frozen pastry case. Fill it with rice or baking beans and put it in the oven for 15 minutes. Take the case out, remove the rice and the paper and pop it back in for a further 10 minutes. Remove the case from the oven, leave it to cool slightly and increase the oven temperature to 200C/ 180C fan / 400F whilst you mix up the filling. Rinse the blueberries and mix them with the sugar. 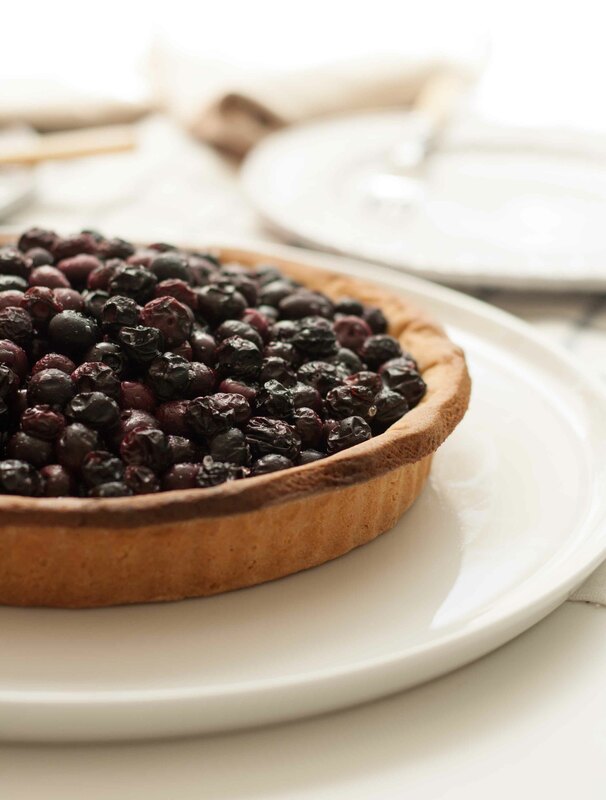 Fill the pastry case with the blueberries and put the tart into the oven for 20 minutes. 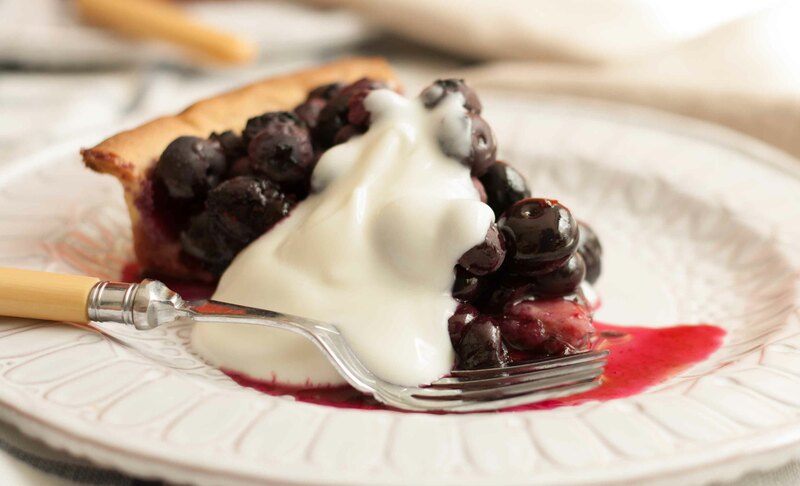 Remove the tart from the oven and let it cool for 10 minutes before serving with a dollop of creme fraiche or yoghurt. Enjoy!